Though, I have seen a lot of interest from Indian engineers in machine learning and Artificial intelligence space. 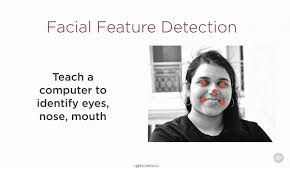 They are totally caught up with the craze of developing programs which can recognize numbers, alphabets, vehicles, and several other image scanning stuff. The craze is very similar to what 1980's programmer has about video games, where moving a character in screen gives the joy you get when your program correctly identifies the number or letter you make from hand. From college graduates to junior programmers, and from experienced programmers to software architects all are showing interest in Machine learning and Artificial intelligence to become part of the next technical revolution we may be witnessing. Btw, if you are wondering about what is Machine learning and Deep Learning then let me give you a brief overview. Machine learning programs use algorithms to parse data, learn from that data, and make informed decisions based on what it has learned. One example of that was selecting the best Cucumber from a lot, which was done by a Japanese programmer, you can read the full story here. 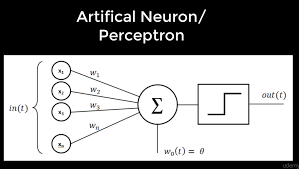 On the other, Deep learning structures algorithms in layers to create an "artificial neural network" that can learn and make intelligent decisions on its own. It's more complex than machine learning. Before I share the list of courses, I'd like to clarify that, even though these courses are free they are not of inferior quality and they are just made free by their instructor for promotional and education purpose. In fact, sometimes these free courses are covered into paid courses once instructor reach their promotional targets, so please be careful and check the price of the course before you join. Anyway, Here is my list of some of the best free courses to learn Machine Learning and Deep Learning online by yourself. Scikit is one of the popular Python Machine learning libraries. It was initially developed by David Cournapeau as a Google summer of code project in 2007 and since then it has become the defacto machine learning library for many programmers. Scikit-Learn, also known as skelearn is particularly great for beginners as it offers a high-level interface for many tasks, which allows beginners to practice the entire machine learning workflow and understand the big picture better. Once you know Sci-kit you can explore more powerful libraries like TensorFlow on your own. Anyway, in this course, you'll not only learn machine learning basics like what is a target variable or a feature but also you'll learn how to create an end to end model using Python's SciKit Learn. You'll get complete hands-on experience with the process of machine learning, which includes importing data, cleaning the data, training, and testing, pre-processing and feature engineering. In short, a perfect course for beginner to kick-start their machine learning journey. This is another excellent free course to learn Deep Learning on Udemy. 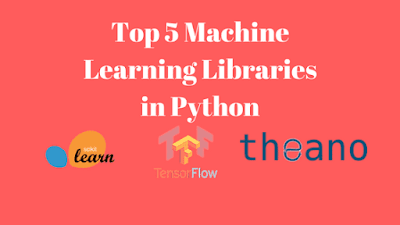 This covers four major Python libraries like the Numpy, Scipy, Pandas, and Matplotlib stack, which are key to deep learning, machine learning, and artificial intelligence. 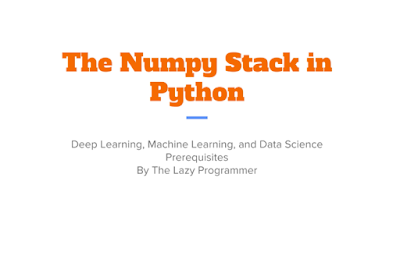 If you don't know Numpy provides basic building blocks, like vectors, matrices, and operations on them while Scipy uses those general building blocks to do specific things. Pandas strength lies in loading data, particularly from the database while Matplotlib helps in looking that data using some common plots like namely the line chart, scatter plot, and histogram. In this 3.5 hours long course, you will learn all these libraries and learn how to supervise machine learning (classification and regression) with real-world examples using Scikit-Learn. You will also learn how to use Numpy, Scipy, Matplotlib, and Pandas to implement numerical algorithms, and most importantly you will learn the pros and cons of various machine learning models, including Deep Learning, Decision Trees, Random Forest, Linear Regression, Boosting etc. This is an excellent course to learn another powerful Python machine learning library called Keras. If you don't know Keras is a both powerful and easy-to-use Python library for developing and evaluating deep learning models. It wraps the efficient numerical computation libraries like Theano and TensorFlow and allows you to define and train neural network models in a few short lines of code, which is just awesome. In this course, you will learn how to build an end-to-end Python machine learning project using Keras and tune a deep learning model and neural network. The best part of this course is that n the course we will walk through every line of code so you'll be able to understand the model and the process. This is another great free course to learn Python Deep learning libraries. This course covers Pandas, NumPy, SciKit-Learn, MatPlotLib, and NLTK. 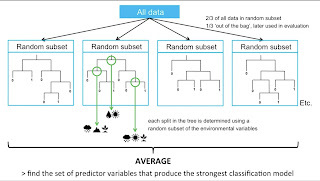 You will learn about the process of building supervised predictive models and build several of them using Python, the most widely used programming language for machine learning. As part of the course, you'll receive the completely annotated Jupyter Notebook used in the course. If you don't know the question, you probably won't get the answer right and this course is all about asking the right machine learning questions. Machine learning is behind one of the coolest technological innovations today but contrary to popular perception, you don't need to be a math genius to successfully apply machine learning. At first, you need to identify whether machine learning can provide an appropriate solution and in this course, you'll learn how to identify those situations. The topics covered in this course includes Classifying Data, Predicting relationships using regression, Recommending product and Clustering large data sets into meaningful groups. Overall a nice course to get a high-level overview of what is machine learning and how to use it to solve real-world problems. This is one of the basic Machine learning course but I have put that into end because it's not completely free. You need Pluralsight membership to access this course which cost around $29 per month. On the other note, Pluralsight is a great resource and its membership is definitely worth every penny spent. I have bought the annual membership which comes with some discount. Anyway, even if you don't have Pluralsight membership, you can still access this course for free by signing up for a 10-day free trial without any commitment which provides 200 minutes of watch time. That's all about some of the best free courses to learn Machine Learning, Deep Learning and Artificial intelligence in 2019. As I have said, these are new technologies which will rule the world in the coming years, hence learning them now will provide you with valuable experience and you will be well ahead of others. At the moment, Machine learning specialist is also drawing a very handsome salary and solving some interesting problems of the world, so it's not only financially rewarding but also work is really great. Thanks for reading this article so far. If you like these free Data Science and Machine Learning courses then please share with your friends and colleagues. If you have any questions or feedback then please drop a note. P. S. - If you are looking for the best Machine Learning course and don't mind paying some money then Machine Learning A-Z: Hands-On Python & R is the perfect course to start with. This would be the right choice to learn Machine learning in 2019.